The list of legendary trumpet players from the New Orleans area doesn’t begin or end with Louis Armstrong. Indeed, the list essentially is endless. Wikipedia points out that Allen is said to be the first to incorporate Armstrong’s revolutionary influences. The sense I get is that he was a bit unfairly obscured by Pops’ long shadow. Above is a fabulous version of a Wild Man Blues, which seems to owe a lot to St. James Infirmary. It is interesting because of the early television treatment and host John Crosby’s comments. The show, called The Sound of Jazz, aired on CBS in 1957. It was part of a series called The Seven Lively Arts. 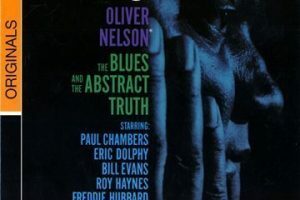 An LP was released of the performances in the jazz segment. Folks just interested in the music should skip to the 3:00 mark of the video. The list of musicians, courtesy of Crosby: Allen, Rex Stewart (coronet); Pee Wee Herman (clarinet); Vic Dickenson (trombone); Coleman Hawkins (tenor sax); Nat Piece (piano); Danny Barker (guitar); Milt Hinton (bass) and Jo Jones (drums). Nikolai Andreyevich Rimsky-Korsakov: "Capriccio Espagnol Op. 34" and "Flight of the Bumblebee"